The courses run June 26 - July 13 from 8:00 a.m. - 3:00 p.m.
Students can earn a .5 credit in just 13 days! 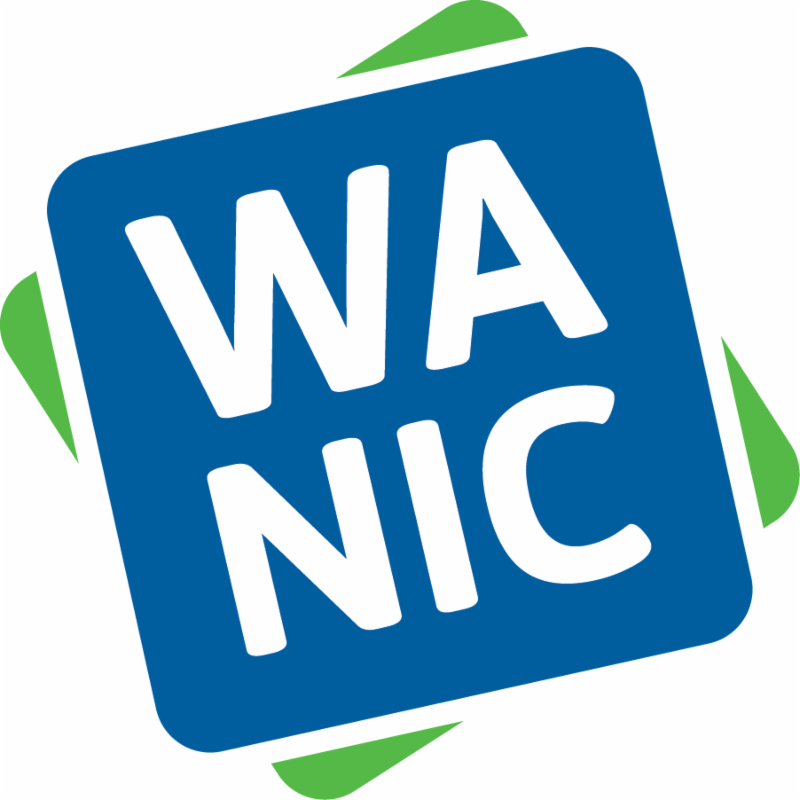 Washington Network for Innovative Careers (WANIC) offers courses at various high schools in area districts. These programs are open to all students entering grades 9, 10, 11, and 12, from Bellevue, Everett, Issaquah, Lake Washington, Mercer Island, Northshore, Riverview, and Snoqualmie Valley School Districts. Tuition is free; the only cost to attend a WANIC Summer Academy class is a $50 supply fee (assistance available for students who qualify for free or reduced lunch). Students earn .5 Occupational Education high school credits, except where noted differently. Students provide their own transportation and their own lunch. Classes will be held weekdays from June 26 to July 13 and meet from 8:00 a.m. - 3:00 p.m. (there is no school on July 4). Applications will be accepted online beginning at 3:00 p.m. on April 13, 2018, at https://wanic.lwsd.org. These classes are in high demand, spaces this year will be allocated via lottery. If interested, please visit your high school's Counselor or Career Specialist for more information. It is hiring season at the Riverview School District and the Human Resources Department is in the midst of our recruitment activities which includes attending state-wide career fairs, posting job openings and updating our promotional products. Integral to the goals in the Human Resources section of the District Strategic Plan is the ongoing efforts of continually enhancing our recruitment strategies. Exciting and new this year is our new recruitment video on our Human Resources page on the district website, created by students from Cedarcrest High School. This partnership between Human Resources and students Taylor Berberich and Andrea Pitts, with teacher oversight by Tim Kennedy, and mentor (and previous CHS graduate) Devon Young, meant more than 25-plus hours of video were shot, including multiple teacher and student interviews and classroom visits. The concept was based around the idea of "Why Riverview" and was designed to show the value of working in a district that feels like a community and like home. The entire team worked diligently over the course of the first semester to research, create the vision, and shoot all the footage. Then, the students did the heavy lifting of editing and culling through the many hours of video to finalize the product that you can now see on the district website, on our Human Resources page. This video was truly a very special and unique experience that we believe can only happen in the Riverview School District, because of our dedicated staff and willingness to work together as a team to make students the center of all we do. This project exemplifies our district mission, "Educate Children," as the project shows how leaders in the district were able to find a way to provide an applied, real-life learning experience for students, highlighting our commitment to our values and beliefs. Special thanks go out to Taylor, Andrea, Mr. Kennedy, Mr. Young and the Riverview HR and Communications team of Stacy Cook, Donna Reier, and Michael Ward. We hope you all enjoy the video! Vendors, local businesses, and our Riverview community all come together for this second annual event! The Riverview School District continues to conduct periodic meetings with school representatives, community members, and local police and fire partners to strengthen efforts in the area of emergency preparedness. The Emergency Management Committee has updated its 5-year plan to incorporate the appropriate Alert Lockdown Inform Counter Evacuate (ALICE) curriculum and corresponding district-wide drills for the 2018-19 school year. Maria Mahowald, Riverview's Emergency Operations Coordinator, leads a training of Riverview administrators, supervisors, and coordinators. With summer rapidly coming right around the corner, groundwork for assembling a preliminary draft of the upcoming fiscal year operating budget is in process. We anxiously await to hear the financial implications from this short legislative session and look forward to providing the Riverview School District with another fiscally responsible budget. Additionally, the district has commenced updating its 20-year capital facilities plan to include potential land acquisition and bond planning. At the February 27, 2018, School Board meeting, the Riverview School District Board of Directors approved moving forward on initiating the first steps in a potential land acquisition. The Board unanimously approved a motion allowing the district to open up a process that will entail working with the City of Duvall, private landowners, and other community agencies to see if the property can address the district's needs for potential growth and expansion of Cedarcrest High School. With an increase in residential construction in Duvall and Carnation, and student enrollment numbers projected to grow steadily in the coming years, the district is hoping to respond proactively to these increasing challenges. Additionally, finding sufficient land, appropriately zoned and not designated as wetlands or other potential restrictions, is challenging. We are excited about these new opportunities and what they will mean for our students and community! The popular FFA fundraiser returns in April and May! Mornings can be really crazy! The alarm doesn't go off...the kids don't want to get up...there's no time to eat breakfast before the bus comes...or kids are just not ready to eat. Or maybe your teenager grabs a can of soda and a candy bar on the way to school. If this sounds like your house, we have good news for you. Breakfast is served at school! Eating breakfast can help improve math, reading, and standardized test scores. Children who eat breakfast are more likely to behave better in school and get along with their peers than those who do not. Breakfast helps children pay attention, perform problem-solving tasks, and improves memory. Children who eat breakfast are likely to have fewer absences and incidents of tardiness than those who do not. Studies have shown that children who eat breakfast on a regular basis are less likely to be overweight. School breakfast provides daily servings of fruit, whole grain options, protein options, and milk for lasting energy. Breakfast at school is affordable, too. If you qualify for free and reduced-price meals, you also qualify for the breakfast program, with no additional paperwork. In the traditional breakfast program students who eat school breakfast report to the cafeteria before class and eat their meal in the cafeteria. We encourage your student to eat breakfast to establish healthy eating habits and to support student achievement at school. On March 2, 2018, Cedarcrest student Lucy Harper was one of 12 winners chosen from the Puget Sound Educational Service District (PSESD) Regional High School Art Show. Her piece, entitled Last Night at Lime Kiln, was among the selections earning the highest scores and will advance to the 45th Annual State High School Art Show at OSPI (Office of Superintendent of Public Instruction) in Olympia, WA. Also,congratulations are in order for two other Cedarcrest students who earned recognition at the event. Megan Reid received an award for "Outstanding Achievement - Ceramics" for her piece, Suppression. And Elli Viljamaa received an award for "Outstanding Achievement - Drawing" for her piece, A Closer Look. To read about all the recipients at the PSESD Regional High School Art Show, see images of the 12 winning selections, and see a list of all awards handed out, please click here. 2017-18 has been an eventful school year! In the fall, IT deployed almost 1,000 devices to students in grades 6-8 at Tolt Middle School and to students in the PARADE and CHOICE programs at the Riverview Learning Center. Additionally, another 500 devices were added to elementary classrooms. The department focus this spring will be supporting state testing across the district and preparing for Phase Two of the student-issued device initiative: Full implementation with another 1,000 devices checked out to Cedarcrest High School students for the beginning of the 2018-19 school year. As we move closer to having a device in the hands of each student, IT continues to collaborate with the Teaching & Learning department to increase the meaningful use of technology in classrooms for the purposes of engagement, differentiation, and acceleration of student learning. In pursuing these goals, we are also building relationships with local and global partners such as Microsoft and Skooler. These partnerships ensure the best tools and resources are available to all members of the Riverview community, as these organizations use our feedback to tailor their services to the needs of our teachers and students. Additional information about our projects can be found at the new IT website: https://it.rsd407.org. Finally, we would like to thank our community for their approval of the recent district levies. This funding will continue to support exceptional tools and services for all staff and students here in Riverview. STILLWATER ELEMENTARY'S BROOKE GILL QUALIFIES FOR NATIONAL REFLECTIONS PTSA ARTS COMPETITION! The annual PTSA Reflections Arts Competition starts at the individual school level, moves to the district-level, then the state-level, and eventually the national stage. This year, four Riverview students received awards recognition at the state-level competition, with one student, Stillwater Elementary's Brooke Gill, earning her category's top honor and earning an all-expense paid trip to the National PTA Convention in New Orleans. Competing in the Intermediate level (grades 3-5) for Music Composition, Brooke received an "Outstanding Interpretation" award for her piece entitled Don't Lose Your Hope. Students earning "Outstanding Interpretation" awards earn an expense-paid trip for awardee and chaperone to showcase their work on stage at the National PTA Awards and Reflections Celebration; an $800 Young Artist Scholarship; a Gold Medal; a Certificate of Outstanding Interpretation; a featured spot in the Reflections traveling exhibition; and a $200 Prize for Local PTA Unit. In the Primary level (grades K-2), Carnation Elementary student Kai Quaale received an "Award of Excellence" mention, in the category of Film Production, for the film Fluffy Slime. The "Award of Excellence" prize earns awardees a $200 Young Artist Scholarship; a Silver Medal; a Certificate of Excellence; and also features their work featured in the traveling exhibition. Two Riverview students also received "Award of Merit" recognition at the state competition. Competing in the Primary level, Carnation's Lily O'Dell saw her work, Eye of the Tiger, earn an Award of Merit in the Dance Choreography category. At the High School level, Cedarcrest's David Humbert earned an Award of Merit in the Film Production category for his film, Biking Film. The "Award of Merit" prize earns recipients a Bronze Medal; a Certificate of Merit; and sees their work featured in the traveling exhibition. Thousands of students compete in the PTSA Reflections Arts competition every year, and hundreds of entries are submitted by Riverview students each fall. Participants compete in six categories: Dance Choreography, Film Production, Literature, Music Composition, Photography, and Visual Arts. We congratulate David, Kai, and Lily on their fantastic achievements, and our Riverview community wishes Brooke all the best in New Orleans later on this year! To learn more about the PTSA Reflections competition, please click here. Greetings from the Teaching and Learning Department! It has been a full year of student and staff learning in the Riverview School District. Our staff has been engaged in a wide-range of professional learning experiences. We are working hard to support the growth of our teaching staff in the context of their own classrooms and schools. By embedding professional learning in the classrooms of teachers, we can apply, assess, review, and adjust our teaching practices more effectively and efficiently. Thank you to Robin Nordquist and Amy Jacobson in the Teaching & Learning office for all their behind-the-scenes efforts that make this work possible. Our focus at Cedarcrest High School, Tolt Middle School, and the Riverview Learning Center has been on making learning and instructional targets more visible for students through Concept Maps, Vocabulary TIP Charts, and more specific feedback. We have also been working on mathematical reasoning strategies at the secondary level. The addition of this instructional practice requires students to think more deeply and broadly about mathematical concepts. Mark Klune and Tracie Kelly, two of our Learning Coaches, have been instrumental in the above work with staff. At the elementary level, we have been focused on Units of Study (UOS), our recently adopted reading curriculum. Our model has been to work in the classrooms of each grade level at each school to implement the reading curriculum. We have benefited from the external expertise of two UOS trainers, and the work of Learning Coaches Heather Nelson and Wendy Ward has been vital in this process.